Take on The Division’s most critical mission yet, where you’ll tackle unprecedented dangers as you pull D.C. back from the brink. Join your friends to take on the game’s toughest missions. You’ll need all the help you can get. Sometimes even fellow agents can’t be trusted. Take on other players and prove your combat proficiency. 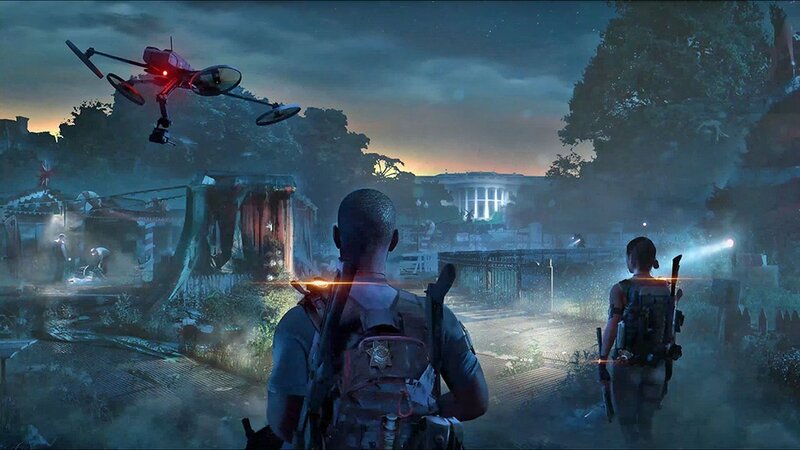 With three Dark Zone across Washington D.C., you'll be able to explore unique areas of the city that have been untouched for months. These mysterious, walled-off sections of D.C. offer a fair and intense Player vs. Environment vs. Player experience where anything can happen, and no one can be trusted. Prove your skills against other Division agents in a variety of different player versus player experiences on unique maps not seen anywhere else in The Division 2. When you're battling everything from warring factions to contamination zones and the elements, you need to make sure you're well prepared. The Division 2 offers fully customizable agents and gear. There is a variety of weapons, armor, and cosmetic options to find, plus more gear sets and exotic items available to high-level players. When you reach the end-game, unique specializations will allow you to further expand your arsenal and abilities. We have an extensive post launch plan, supporting the game for the year to come. This content will be free and accessible for everyone. Saving D.C. is just the beginning. 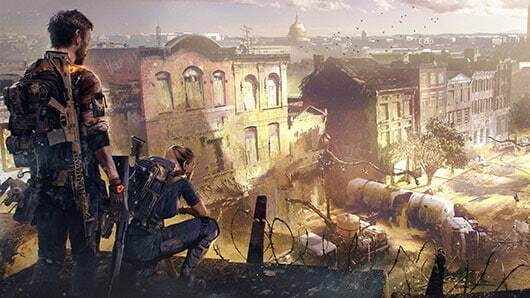 New specializations, game modes, and more, will keep Division agents active well beyond level 30.